for Mounting Antenna Rotor and Thrust Bearing together on one Top Cap Section, Pre-Drilled to Accept most Popular Rotor/ Bearing Combinations. Plate to Plate distance of 16 inches. 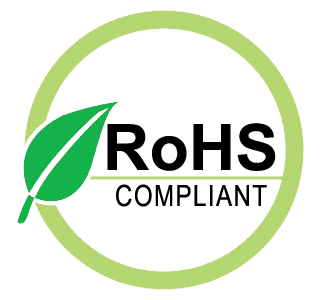 Field Drilling may be necessary to accomodate the Specific Items involved with your Installation. Consult ROHN Catalog Links at Footer Section below for ROHN 25G Tower Details. 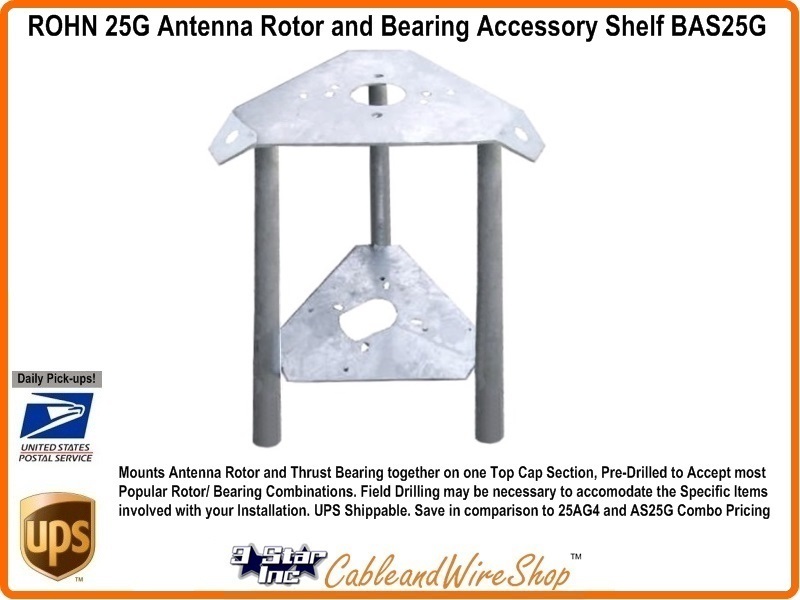 ROHN BAS25G Top Bearing Accessory Shelf is Galvanized Steel with the Standard OEM ROHN Bolts to attach to top ROHN 25G Main Section's (10 foot or 7 foot) 3 Side Rails for Mounting Popular Antenna Rotor/Thrust bearing Combinations on this one Tower Section together, saving Time, Shipping Costs and Money to buy the Individual Parts Separately. Compare to the R-25AG4 Flat Cap Top Section and AS25G combination, or a R-BPL25G Top Cap Thrust Bearing Plate and AS25G Accessory Shelf Combination. American Steel... Buy ROHN, Buy American.